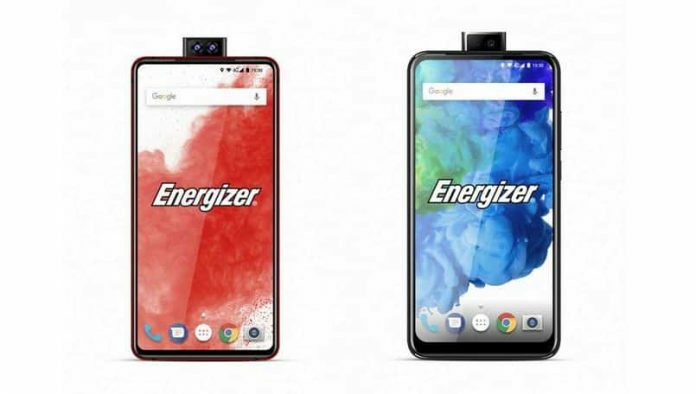 Energizer Holdings Inc., one of the world’s largest manufacturers of batteries, whose once upon a time slogan was to “keep going and going” has decided to keep going by launching as many as 26 smartphones at the Mobile World Congress (MWC) 2019 in Spain this year, reports GSMArena. Built by a company called Avenir, the new range of Android-powered smartphones will debut with four new phone lines, namely the Power Max, Ultimate, Energy, and Hardcase. While the Energy and Hardcase lines are basic feature phones that will cover a major portion of the 26 devices, the Power Max options include handsets with a whopping 18,000 mAh and 16,000 mAh batteries inside. However, what is interesting is the Energizer “Ultimate” series that contains five different versions. Two of the range, such as Ultimate U620S Pop and U630S Pop are subtitled ‘Pop’ because they both twin pop-up selfie cameras. Other than the pop-up selfie cameras that include a 16MP main camera and a second 2MP depth sensor, the Ultimate U620S and U630S models have nothing in common. The Energizer Ultimate U620S Pop is a premium smartphone that features a 6.2-inch display with Full HD+ (2,280 x 1,080) resolution. It has a MediaTek Helio P70 chipset and comes with 6GB of RAM,128GB of storage, and a microSD card slot. As for the rear cameras, it has a triple sensor configuration with a 16MP primary, 5MP secondary, and 2MP depth sensor. It features a 3,200mAh battery with USB-C that supports 18W fast wired charging. It also has a side-mounted fingerprint sensor in the power button. The Ultimate U620S Pop is said to launch in July this year. (the U620S above is the only other phone here to offer a 3.5mm jack). On the other hand, the Ultimate U630S Pop features a 6.3-inch display with HD+ (1,480 x 720) resolution. It is powered by MediaTek’s octa-core Helio P22 chipset and has 4GB of RAM and 64GB of expandable storage. The rear side of the smartphone houses a dual camera (16MP + 2MP) and the fingerprint reader. It has a slightly larger 3,500mAh battery that supports 10W fast wired charging. The Ultimate U630S is expected to launch in June this year. Further, of the other remaining three models, the Energizer Ultimate U650S is the largest of the series, which features a 6.5-inch display with 720p+ resolution. It comes with MediaTek’s octa-core Helio P22 chipset with 4GB of RAM and 128GB storage (plus a microSD slot for up to 256GB more). It has a waterdrop notch with a 16MP selfie camera along with 16 + 2MP dual camera on the back. It also has a 3,500mAh battery inside with fast charging over USB-C. The Ultimate U650S is expected to have an October launch. Similar to the U630S, the Energizer Ultimate U620S comes with the pop-up selfie camera. Sporting a 6.2-inch HD+ display with 720p+ resolution screen, it is powered by a MediaTek MT6765 chipset (a faster version of the Helio A22). The handset comes with the smaller 4GB of RAM and 64GB storage (expandable) combination and offers a 3.5mm jack. It puts its single 16MP selfie camera in a waterdrop notch and includes the usual 16MP+2MP dual camera on the back. The only bright side of the device is its large 4,000mAh battery. The handset will be launched in June and will be available in two color variants: Purple/Blue and Blue/Green. Last, but not the least of the five models is the Energizer Ultimate U570S, which is the smallest of the five and an entry-level smartphone. It sports a 5.7-inch display (720p+) and is powered by a quad-core processor and has 32GB of storage space. It has a 3,000mAh battery, a microUSB port, and a 3.5mm headphone jack. It also has a small notch for a 16MP selfie camera and 16MP+2MP dual camera on the back. The Ultimate U570S will be rolling out in April in three color variants: Purple/Blue, Blue, and Yellow.